Offering our expertise, guidance and thought leadership on trends and insights that affect organizations. This section delivers articles and thought leadership pieces to help simplify the complexities businesses face in an ever expanding and changing environment. Find out how Armanino maximized our ROI with an updated business tech stack using the same best-of-breed solutions we offer when partnering with our clients. Two years after the material weakness disclosure, audit fees in our study were 64% above the average fees of $599 per million of revenue. Gain best practices to avoid material weaknesses. As more companies voluntarily issue sustainability reports, in response to growing interest from investors and lenders, COSO has proposed updates to their enterprise risk management guidance. 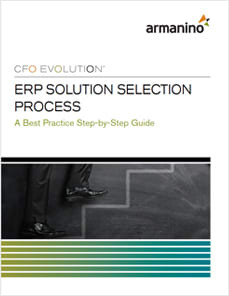 An ERP solution is an important investment but the selection process can be a daunting task. Our straightforward guide provides a comprehensive framework of considerations to drive your selection process. Armanino is comprised of seasoned professionals who offer you a wealth of experience and insights across a broad range of industries and services. We work interactively and proactively to ensure our clients achieve their financial goals long-term. Armanino offers webinars and live events to keep you informed and educated on business practices, processes, changes in rules and the latest trends and issues that affect your organization. Attending webinars and seminars are an effective method to gain knowledge on important issues from industry subject experts. Take a look at the success stories below for clients who have migrated to using Intacct cloud accounting solutions offered by Armanino. Contract and subscription-based businesses across a wide range of industries - including software, software as a service, cloud computing, hardware, professional services, business process outsourcing, e-commerce, information services, research, e-learning, and membership associations - face unique challenges with revenue management. Hundreds of them trust their business to Intacct. See why. Acceller is a leading provider of digital services including high-speed Internet, TV, phone and bundles. In 2007, the company was ranked #54 on the Inc. 500 list of fastest growing private companies in America and #75 on Deloitte's 2007 Technology Fast 500, a ranking of the 500 fastest growing technology, media, telecommunications and life sciences companies in North America. This phenomenal growth puts heavy demands on Acceller's financial staff. ASP Global Services (ASPGS), a leading provider of Warehouse Management Solutions (WMS), was founded in 2001 to help third-party logistics providers to operate and manage multi-client and multi-site warehouse operations by providing warehouse management solutions designed specifically for the way they work. a visionary company, ASPGS delivered its solutions to customers as a web-based service from the very beginning. today, with the Software as a Service (SaaS) and cloud computing delivery models going main stream, ASPGS continues to grow its business rapidly. Cenzic - a provider of vulnerability management solutions - automates penetration testing of Web applications, enabling enterprise users to test for security vulnerabilities, enforcement of internal security policies, and regulatory compliance. MuleSoft was founded in 2003 with the idea that developers needed a way to more easily develop, integrate and reuse code. MuleSoft's enterprise service bus, Mule ESB, is now the most widely used open source platform, with more than 1.5 million downloads and over 2,500 production deployments. As MuleSoft's reputation and business grew over the years, so did its product footprint and global reach. The company has added multiple offices overseas and currently draws around a quarter of its revenues from outside the United States. nCircle provides automated security and compliance auditing solutions that help companies to manage and reduce security risk and achieve compliance on their networks. Headquartered in San Francisco, nCircle also has offices in Toronto and London that help serve customers around the globe. SchoolDude.com, a provider of online tools for management of school operations, struggled with a staggering number of different software applications that hampered their ability to manage customer relationships and back-office operations. For example, finance staff had to toggle between different systems to manage invoices, returns and accounting. Virtual Hold Technology (VHT) develops virtual queuing solutions for Fortune 100 clients. Since 1995, VHT's patented virtual queuing technology has provided return call solutions focused on enhancing the customer experience for financial services, energy and utility, insurance, telecommunications, cable and wireless, and retail corporations such as IBM, Bank of America, T-Mobile, Aflac, Time Warner Cable, and AVON. Forward-thinking since its inception, Voltage Security realized that it would gain the greatest value from allocating its precious in-house resources - for example, servers, IT administration, training and IT support + to customer-facing rather than internal initiatives. This meant finding a hosted solution for the company's financial management needs. We are always looking for talented people to join our firm. Apply now and become a part of our unique culture. Sign up for Alerts, Education and Updates. 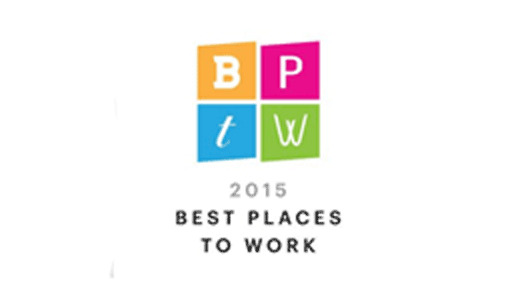 Armanino is one of the top 25 largest independent accounting and business consulting firms in the United States. Armanino provides an integrated set of audit, tax, consulting, business management and technology solutions to companies in the U.S. and globally. Armanino extends its global services to more than 100 countries through its membership in Moore Stephens International Limited—one of the world's major accounting and consulting membership organizations. 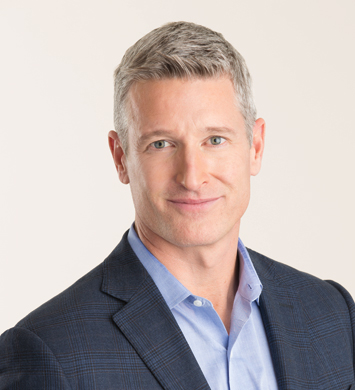 In addition to its core consulting and accounting practices, Armanino operates its division—AMF Media Group (amfmediagroup.com), media and communications services and its affiliate and Intersect Capital (intersectcapitalllc.com), an independent financial planning, wealth and lifestyle management firm. Copyright © Armanino LLP. All Rights Reserved.